A large fire on the top floors of a six-story New York City apartment building has resulted in four minor injuries. 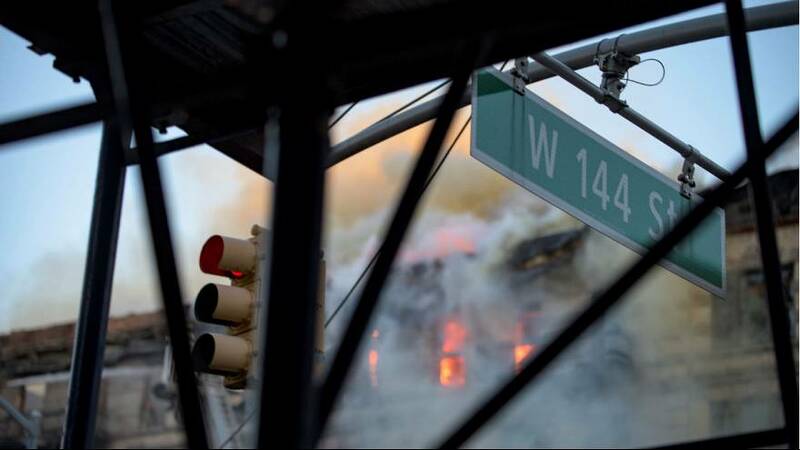 The fire started Friday afternoon on the Harlem building’s top floor, which was engulfed in flames as thick smoke billowed. The Fire Department of New York says more than 200 firefighters are at the scene. Three firefighters and one other person have suffered minor injuries.